Due to a small number of objections and questions that have come in from last week’s eSight on how our rejection of hierarchical leadership styles within the church is one of the ways we put on display that the rule of The Powers has come to an end, I felt that this week, rather than progressing with this series, I would share a portion of the New Testament research that collaborates and supports last week’s statements. It is my prayer that as we continue to process this information, in the light God’s character of radical, other-centered, self-sacrificial love as revealed in the person of Jesus Christ, that God will have a people who finally reject Constantinian Christianity in favor of becoming those who look like their Master once again. 1700 years is far too long. The time has come for those who carry Jesus’ name to resemble, once again, what Jesus and His Kingdom where truly all about. For those who were looking forward to a “devotional” this week, I want to offer you my humblest apologies. We will return to that format next week. This week, please take some time and give this information prayerful consideration. This is research our intellects can rest upon, so that our hearts can passionately embrace the “New Creation,” the Ekklesia, we have in Jesus (2 Corinthians 5.17). Happy Reading and keep enlarging the Kingdom! Embracing The “Mission” of New Testament Ekklesia. Far from being a whipping boy in an effort to appease an angry God, Jesus’s death (and resurrection) was the result of a life lived in utter rebellion against the Powers. These Powers had claimed that WE belonged to Them. And Christ’s life, death, and resurrection have brought to us salvation, redemption, ransom, reconciliation, and yes, even atonement (see Leviticus 16 for how atonement fits within a “Victory against the Powers” paradigm). I want to challenge you to take some time and read through the entire New Testament, but not in the order we find it in within most of our Bibles. I’d like you to read it in the narrative order in which it was written (or at least the most likely order by the estimation of most scholars). There are some great tools out there for doing this. One of the many that has received much acclaim recently is Frank Viola’s The Untold Story of the New Testament Church. 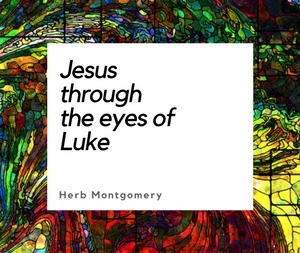 And though I never agree entirely with any author that I read, I believe this resource will prove itself invaluable to you in simply getting your head around the narrative order of the New Testament alone. When we take Paul’s writings within the context of when, where, and why they were written, we see a series of terms that I would love to unpack for you this week. and even “law” and “knowledge”. 1) We find them seeking to separate us from the love of God (see Romans 8.38). 2) We find them ruling over the lives of those who live far from the love of God (see Ephesians 2.2). 3) We find them holding us in servitude to their rules (see Colossians 2.20). 4) We find them holding us under their tutelage or instruction (see Galatians 4.3). And although the authority of these Powers is not limitless, we still find them, in the mind of Paul, exercising their power, again, within both their original ordered function and the usurped dominion gained through humanity’s fall. “I freely admit that real Christianity . . . goes much nearer to Dualism than people think . . . The difference is that Christianity thinks this Dark Power was created by God, and was good when he was created, and went wrong. Christianity agrees with Dualism that this universe is at war. But it does not think this is a war between independent powers. It thinks it is a civil war, a rebellion, and that we are living in a part of the universe occupied by the rebel.”— C.S. Lewis, Mere Christianity. Some today refer to this cosmic conflict as a Great Controversy. But how does this relate to HeartGroups and New Testament Ekklesia? This is the most exciting part of this week’s eSight! WE, plural, together as the Ekklesia, in it’s original New Testament form, have been called to put on display, the accomplished reality of Christ’s defeat of the Powers on the Cross (God’s manifold wisdom; See 1 Corinthians 1.23,24). We have been called to put on display the radical beauty of God’s character of love which is at the core of this New Kingdom, to put on display the defeat of God’s (and our) enemies (see Epheisans 6.12), and that under this new Kingdom there is a new way of doing life! Ephesians 3 is at bare minimum, clear that we have been called to make known this “manifold wisdom of God,” (God’s accomplishment on the Cross) together, IN COMMUNITY to these Rulers and Authorities for all, both on earth and in heaven to witness. I want to submit to you this week, something that I know is challenging to many, but if we are to be honest about taking the teachings of Jesus seriously we must take, even this into consideration. Please remain open minded. Even the form in which our gatherings take, in light of the God ordained function that we as His Body are called to, really does matter more than some realize. When we mimic the Godheads form, when we return to the original intent of what the New Testament Ekklesia was supposed to be, we are rejecting a form that by contrast mirrors the power structures of the kingdoms (and thus the “Powers” behind them) of this world. “But you are NOT to be called ‘RABBI,’ for you have only one Master and you are all brothers [equal]. And do not call anyone on earth ‘FATHER,’ for you have ONE Father, and he is in heaven. Nor are you to be called ‘TEACHER,’ for you have ONE Teacher, the Messiah. The greatest among you will be your servant. For those who exalt themselves will be humbled, and those who humble themselves will be exalted. (Matthew 23.8-12). We find in these passages a stern forbiddance of hierarchal, “power over” structures within those who claim to part of Christ’s new Kingdom. Remember in Jesus kingdom, temple, sacrifice, and priest are no more. (We, as a living Ekklesia, are God’s dwelling place, how we do life, modeled after Jesus, is a living sacrifice, and we together as equals are a “priesthood” of all believers.) The Old Testament Levitical system is NOT what we are to patterned after, but rather, we are to be patterned after the original design of the Godhead itself (See Genesis 1.26) of mutual love, service, and participation. Christ came to restore us to this. Again, we are not to have among us the hierarchal, power over, power structures we find all round us among the kingdoms of this world. We are called to put on display something radically different. We are called to the open, mutually participatory nature of the Godhead (our original Parents) Itself! Our FORM in itself is a proclamation, a sign, a token to the Powers that their unbroken dominion, Their way of doing life, has come to an end! The Ekklesia, done properly, does not function under Their hierarchal power structures anymore (with passive spectators who passively submit, mirroring the kingdoms of this world which in turn mimick the Powers of this world.) The Ekklesia even by its form is to put on display that WE ARE UNDER NEW MANAGEMENT! We are now under the direct Headship of Christ, marked by mutual, open, every-member-functioning-participation like what we find within the Godhead and thus a demonstration of the Kingdom that is rooted in Their Love. Just the very existence of Ekklesia, when our form is in harmony with the teachings of Jesus, is an aggressive act against the Powers in a world still claimed to be ruled by those Powers. Ekklesia is an act of protest, saying we are no longer Their slaves, but freed ones, following a NEW rule, the rule of Christ. Just the mere presence of the Ekklesia is a sign to the Powers of the coming end, of Their emerging encirclement and Their imminent and final defeat. This is a new kind of community (Kingdom/Ekklesia) conceived within the Godhead (John 17), given birth on the day of Pentecost (Acts 2), established and enlarged by the Cross (both Christ’s and ours; Luke 9.23) Genuine Ekklesia is a far cry from being “religious.” True Ekklesia is about putting on display the radical, other-centered, self-sacrificial love of God! But how we do Ekklesia is not mysteriously exempt from any of this. Seeing that how we do “Church” is itself a protest against the “Powers” is loaded with meaning for those who are seeking to return to a more New Testament form of Ekklesia. All resistance and every attack against the “gods of this age” will be unfruitful, unless the Ekklesia, itself, IS resistance and attack. It is imperative that the Ekklesia itself demonstrates, in its own life and fellowship, how believers can live freed from the Powers. We can only “make known” the manifold wisdom of God to the Powers if our communal life together displays something radically different than how the Powers themselves demand life should be done. We do this, together, in so many ways. But NOWHERE is this more evident than by our absolute rebellion against the hierarchal power structures of this world and the “Powers” behind them. When we deliberately choose NOT to pattern our gatherings after the kingdoms of this world, but after the Godhead itself, when we choose to conduct our gatherings with an open, mutually participatory nature, under the Headship of Christ, this again put’s on display the Victory of Christ and that a NEW Kingdom has arrived! But let’s be careful not to go too far. Our duty is NOT to bring the Powers to their knees. Christ has already done this through His Cross! Our duty is to simply but firmly put on display Their already accomplished defeat! Our duty is to put on display, as a community, that we are no longer under Their rule! Ours is to put on display the beauty of our new King’s character of Love and His way of doing life. We are, together, to put on display what this NEW kingdom, NEW reign looks like. And, in the face of Their empty claims, which are now nothing more than a grasping at straws, to declare the reign of the Powers has come to an END! Wherever the Cross is genuinely preached, the unmasking and disarming of the Powers takes place. And wherever genuine Ekklesia is accurately practiced through open participatory gatherings, the church demonstrates to other realms that Jesus Christ—God’s manifold wisdom (see 1 Corinthians 1.23, 24)—is alive enough to lead a fallen race who used to belong to God’s enemy. Genuine Ekklesia is much more than simply how one does “church”. It’s about doing life, together, in such a way as to put on display the radical character of our God and the defeat of His Enemies, even to those very Powers themselves, for all both in Heaven and on Earth to see. 1)The Cross declares that Jesus is already the Savior of the World! God’s Enemies have been defeated! 2)We, as the Ekklesia, have been called to embrace Him now as Lord, and to live out the radical beauty of His NEW Kingdom in community with one another, and by thus putting His Character and Kingdom on display, to declare God’s enemies are defeated, a new Kingdom has arrived, and we are to enlarge the borders of this New Kingdom, His Kingdom, one humble, loving relationship at a time. Remember, we have not been called to conquer the world for Jesus, but to simply love the world (and one another) like Jesus, via Ekklesia! So in light of God’s Victory on the Cross against the Powers, and His Glorious purpose for His Ekklesia, His Bride, in putting that Victory on display, go forth this week, and as community, live like Christ, think like Christ, serve like Christ, and love like Christ and thereby, go enlarge the Kingdom.